Disfunktion has risen quickly on the global EDM stage. Their tracks and remixes found their way to labels like Armada Music, Perfecto, Warner, Joia, Big Beat, Pinkstar, Interscope USA, Spinnin', Doorn Records and Sneakerz MUZIK. Over the last couple of years they developed their sound and skills. Disfunktion’s signature sound is progressive and features big piano and synth-melodies, while flirting with other genres as well. Besides delivering a constant flow of own material Disfunktion remixed tracks of the bigger names of today’s electronic scene: Paul Oakenfold, Armin van Buuren, David Guetta & Nicky Romero, Flo-Rida, John Dahlbäck and Hard Rock Sofa to name a few. 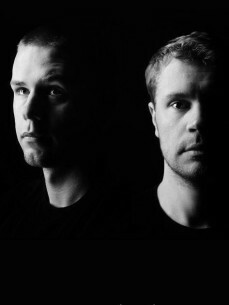 Their melodic productions have been getting huge support from Tiësto, Paul Oakenfold, Ferry Corsten, Thomas Gold, Nicky Romero, Hardwell and many other names in the industry. Expect some great new productions in the next couple of months!